This community story is brought to you by Timbrel Chyatee. Don't underestimate your ability to explore everything this Thailand's capital can offer within 9 hours. 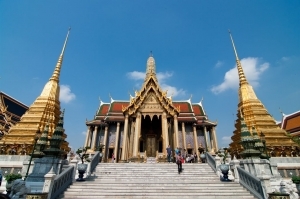 There is so much history and culture to soak in when you visit sights such as the Temple of Emerald Buddha. When you have the chance, you should sample the authentic local flavours such as the famous Thai Green Curry.